I have an LG-E405 phone running Android 2.3.6. I connected my phone with a USB cable and selected the mode as Charge Only. Now when I try to turn on USB Debugging, I find that that the option is greyed out. So, how can I enable USB debugging in this case. Finally figured out the solution to the problem, with the help of this post. 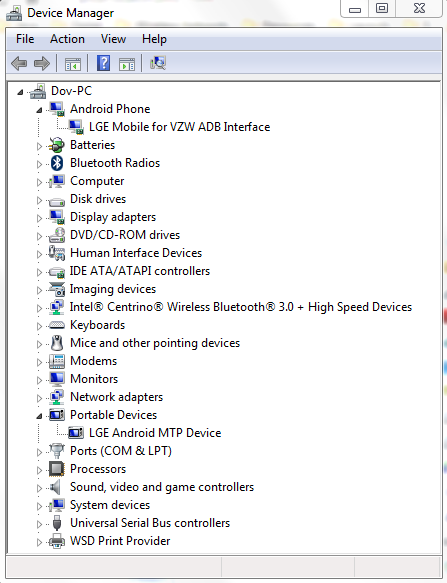 When you connect your phone to your PC, using the USB cable, select the mode as PC Software. Now you should be able to enable USB Debugging. Tap “Build number” five times. A pop-up will appear saying “You are now a developer”. Your’re not done yet. Go back to your phone’s home page by pushing the home button. Click the “USB debugging- Turn on debug mode when USB is connected”. A blue checkmark will appear. Unplug your phone from your PC. Then plug it back in. On the pop-up, make sure you set it to “Media Sync (MTP)”. Now your phone will show up on an option when you want to run your app in Eclipse. Unplug your phone from the PC and go to develop options and now here you can enable USB debugging. if you connect USB and try to enable debugging it will not enable and follow TMacGyver is right it works for me using choose PC connection. Just ran into this on the LG Rebel LTE (LGL44VL). As other answers note, you need to change the USB connection mode to PTP. But my phone's control panels were different from stock Android and didn't have such an option. Try selecting the default mode as Internet connection. Go to Settings -> Connectivity -> Default Mode -> Internet Connection. Now enable the USB Debugging mode under Applications -> Development -> USB Debugging. FYI My Motorola Xyboard had an "Off" icon at the top of developer options. Once I tapped that it worked. Connect the phone to a PC, make sure your developer options are enabled. Then, connection type must be MTP or File Transfer. 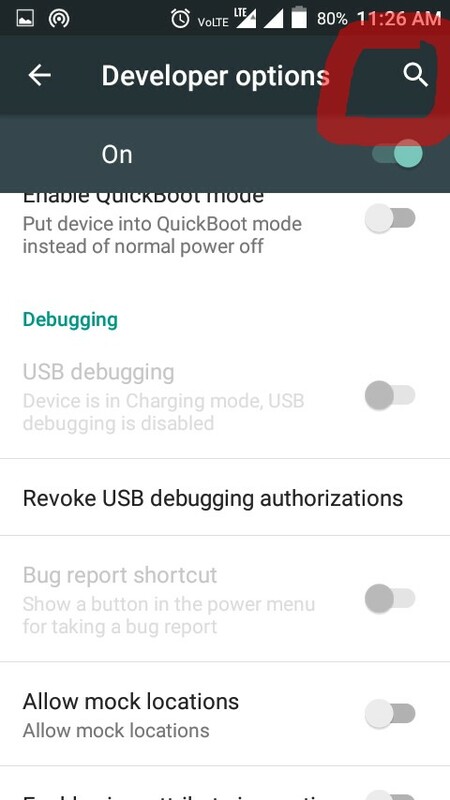 Charge only does not allow USB debugging(disables the option). I switched to another device without KNOX (not rooted as well) to save time. Maybe this quote will save someone some time. It was the only explanation to me in this case. Plug into Windows PC with USB cable. It DOES show the phone as charging via USB (so the plug must be OK), but it does not show up under 'This PC' in Windows File Explorer as a Device/Drive.. grrr. Turns out that not all USB cables are the same — some USB cable manufacturers only make their cable with 2wires instead of 4wires, so that they will charge, but not pass data through the cable — so if software solutions do not appear to be working, try changing the USB cable (!). im writing this here so that maybe someone else doesnt have to waste half an hour figuring out that some USB cable manufacturer doesnt include all 4 wires in their USB cables... grrr. I have a feeling that if you have a corporate phone, your corporation IT might also be blocking USB Debugging. I've tried all the different connection modes and the USB Debugging option remains firmly greyed out. I'm trying to get in to enable the BATTERY_STATS for GSam Monitor Pro, but I think it's disable through the Airwatch MDM software my company makes me use. They pay for it so I guess I'm stuck. Not the answer you're looking for? Browse other questions tagged android usb adb or ask your own question. How to enable development option on android when it's grey tint?